The Case IH Planter makes every seed count. 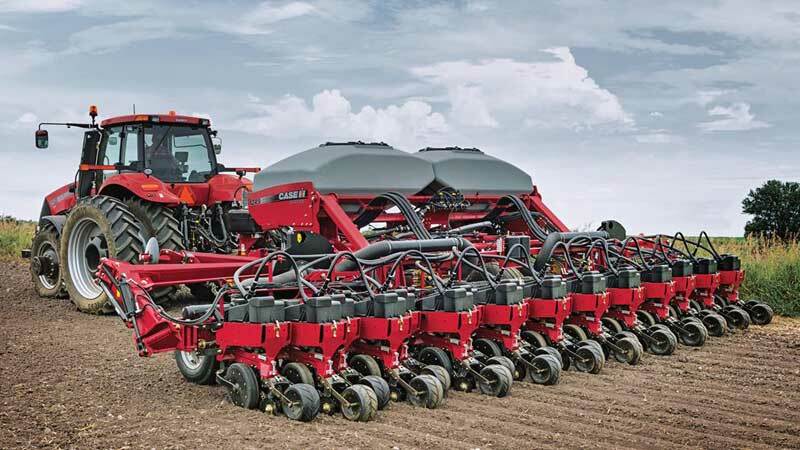 Through sound agronomic design, Case IH Early Riser Planters set the industry benchmark for consistent in row spacing and plant population accuracy. Now, our latest planters go beyond picket fence stands, uniform spacing between plants to deliver photocopy plants. Engineered to deliver uniformity of plants same size, height, and thickness of plants the entire growing season. Providing accurate and consistent depth control across the planter. Ensuring good seed to soil contact. Applies uniform correct soil pressure all around the seed that delivers higher yields. Side by side trials show Early Riser Planters produce on average 6% more plants above the competition. With most resulting in 3 days earlier emergence over other row units, 6-10% Net Effective Stands delivering more productive plants. And 10 BPA per 2,000 plants for higher yields.